Ana De Viya, 11, 11009 Cadiz, Spain. It is a modern hotel in Cadiz center. The Regio I Hotel is a very comfortable establishment ideal to have a unique stay in Cadiz. 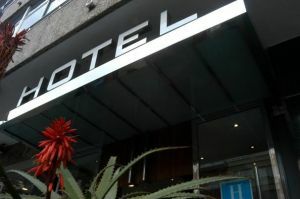 The Regio I Hotel is perfectly located insidecity, close to Congress Palace, Ramón de Carranza stadium and famous Victoria Beach. Its 45 rooms are all exteriors, being carefully decorated in order to guarantee its guests relaxation and contentment. All of them have full Bathroom, telephone, TV, free Wi-Fi connection and large terraces. The hotel also offers a pleasant snack-bar, social lounge, room service and car park. 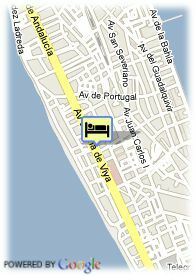 A very complete hotel situated in full center of Cadiz and with a very kind and professional staff. Paid public parking near the hotel (covered) (8.00 €). Babybeds: 25.00 € for each additional babybed.